Often, when buying a tent, the things uppermost in your mind are: where and when will you use it, how many people need to sleep in it, and how much money do you have to spend? Once you have decided on these factors you significantly narrow down your choices. However, it’s also important to futureproof your choice too. For instance, if you’re considering backpacking with your tent, or doing some wild camping this year, then choosing one that has a similar weight to a small whale probably isn’t going to be the best idea. So, as well as considering what you do currently, think about what you will probably do in the future. 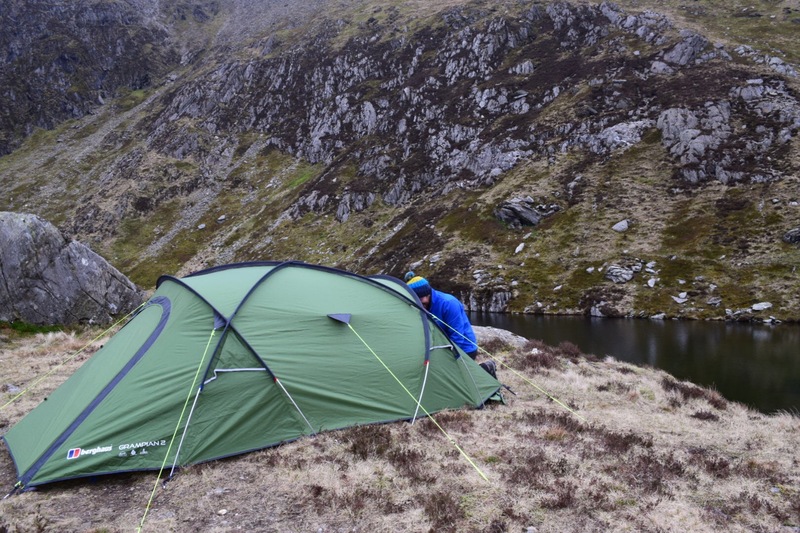 In terms of where and when you can use the Berghaus Grampian 2 tent, you’ll be pleased to know it’s pretty flexible. Marketed as an all-season tent, its strong geodesic design will stand up to all weathers. Geodesic tents have at least four overlapping poles, meaning they’re the strongest and most stable of all tent designs. Consequently, strong winds and snow shouldn’t cause it too much of a problem. As such, you’ll be able to take this tent beyond designated campsites. This is a tent that wants to be taken into the mountains for a spot of wild camping. 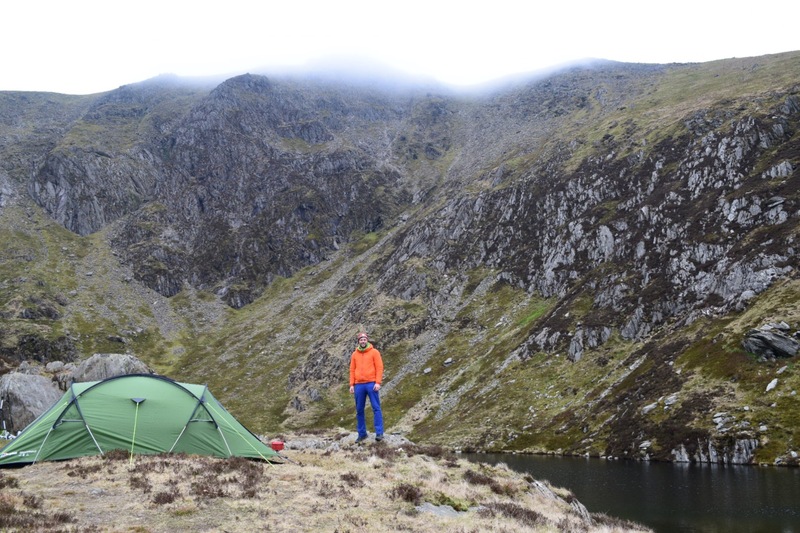 On its first test we took the Berghaus Grampian 2 tent up to 650m in the mountains of Snowdonia. 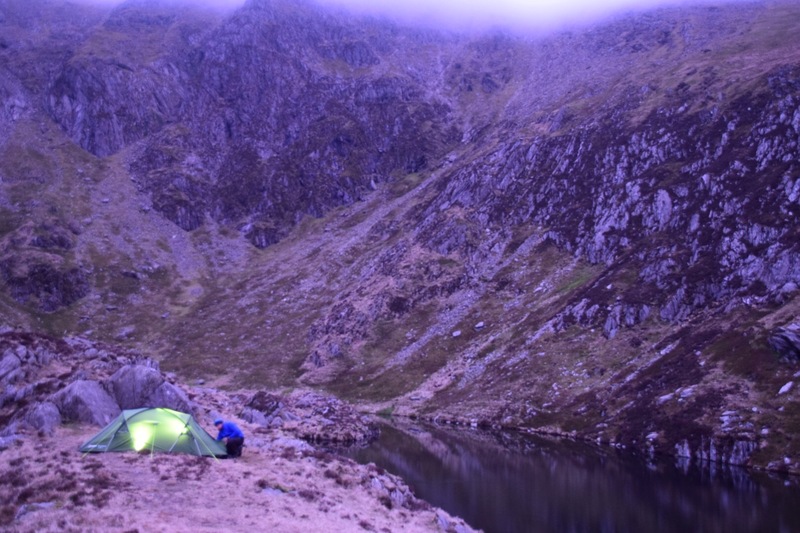 This early-April wild camp not only exposed it to some isolated mountain weather, but also to some plummeting night time temperatures. On both counts it performed admirably. Although we haven’t been ‘lucky’ enough to test it in monsoon-like rains yet, the spec makes comforting reading. With a 3000 HH value for the flysheet and a 5000 HH rating for the bathtub style groundsheet, this is a tent that will perform well in wet weather. Add to that the rip stop fabric used and, all-in-all, it’s pretty damn durable. 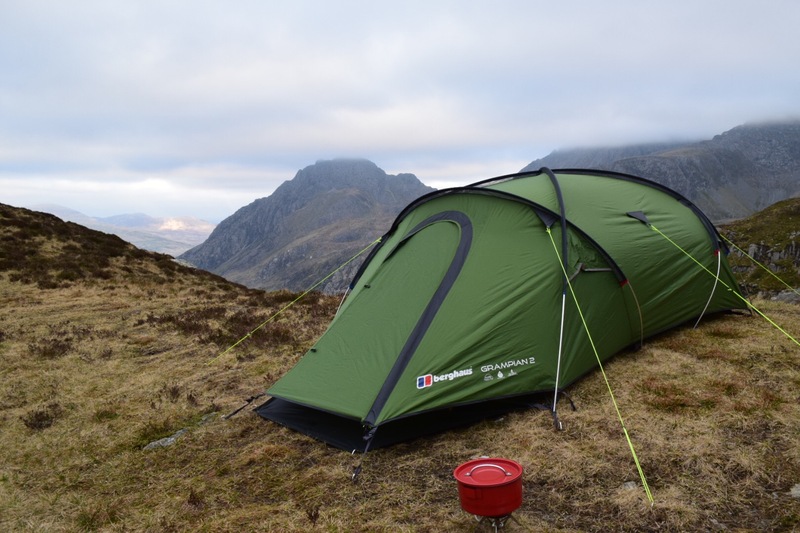 Another great bad weather feature on the Berghaus Grampian 2 tent are the dual doors. This means your gear can easily be stored and protected from the elements in one entrance. You then still have the other entrance to get in and out of the tent. Having twin entrances also means that you can make that all important morning brew without getting your head wet. The fly first pitch also means that if you arrive in the rain, the inner won’t get wet and cold waiting for the flysheet to be thrown over it. 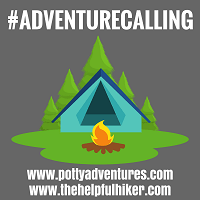 The other important factor when considering where and when you will use a tent is your ability to carry it. 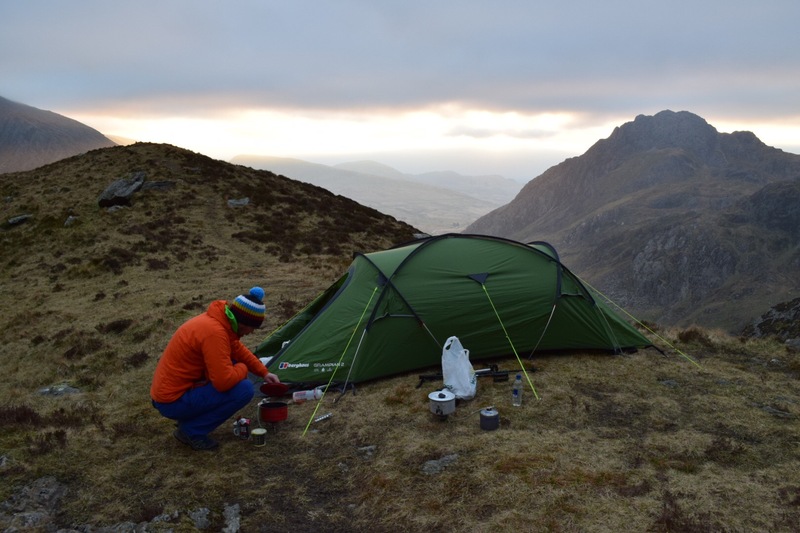 The Berghaus Grampian 2 tent is a described as a lightweight tent. In some ways it is. For a tent that can be used in isolated mountain areas all year round, it is admittedly on the slender side. However, a lightweight backpacking tent this is not. At 4.24kg it’s double what some ultra-lightweight variants offer. The trade-off is clearly strength and durability versus weight. If you want something to complete the Offa’s Dyke trail over eleven or twelve days, staying at low level campsites, this will be too much tent. Alternatively, if you do want to escape and test yourself in the wilds, this may be a great option. Inside the Berghaus Grampian 2 tent there is ample room for two large adults. When I took it away to Snowdonia with a mate, never did we feel cramped. Despite both of us being 6 foot plus and carrying full backpacking gear, we had loads of room. We could easily sit up and move around without disturbing each other. The all-season inner also offers greater warmth than lighter weight 2-3 season tents. However, the fabric is till breathable enough to minimise condensation. Finally, we get to the price. With an RRP of £240 the tent is roughly where I expected it be. However, I have recently seen it on sale for both £169 (Millets) and £129 (Tiso – although now understandably out of stock) . At these prices it is a bargain. Overall this is a strong and stable tent that will perform well in a variety of conditions. The twin doors and geodesic design are big plus points in my eyes. I would have liked to have seen better quality pegs provided but, if you can grab it at the discounted sale price, investing in a stronger set isn’t going to be too much of a hardship. Was wondering if you’ve had a chance to use this a few times yet? Not too much about Berghaus tents around review wise but I’m looking at getting the Cairngorm 3 but am holding back due to lack of info. Its either that or a Vango Halo 300, which i’d be resonable confident to go with. Would you say the quality/durability is on a par with say Vango? Cheers for the review, even though its switched me back from almost going with the Vango ha ha. Hi James, yes, I’ve used this a fair bit since he spring and it’s been a solid tent, which for the price, has really impressed me. It’s similar in weight to the Halo but the Halo only has a semi-geodesic design which in theory makes it slightly less strong. It depends whether you want a true 4 season tent that you can take into the mountains in the winter. If you are I’d go for the Berghaus. The obvious downside is that for for a similar weight it’s only a 2 person compared to the Halo’s 3 (4 season tents are always heavier due to their build and extra poles). If you don’t need the winter use I’d go for a 2 person Vango equivalent and save a little bit more weight. I’ve used loads of Vango tents over the years and have never had any problem with them to be fair and always found them to be pretty solid. Sorry if I’ve confused you anymore haha. Hitting Glen Coe with my new Grampian 2 this w/end, bring it on. Used this in Norfolk at the beginning of Feb. There were strong winds and temperatures down to -4. I was really impressed with the quality of the tent. 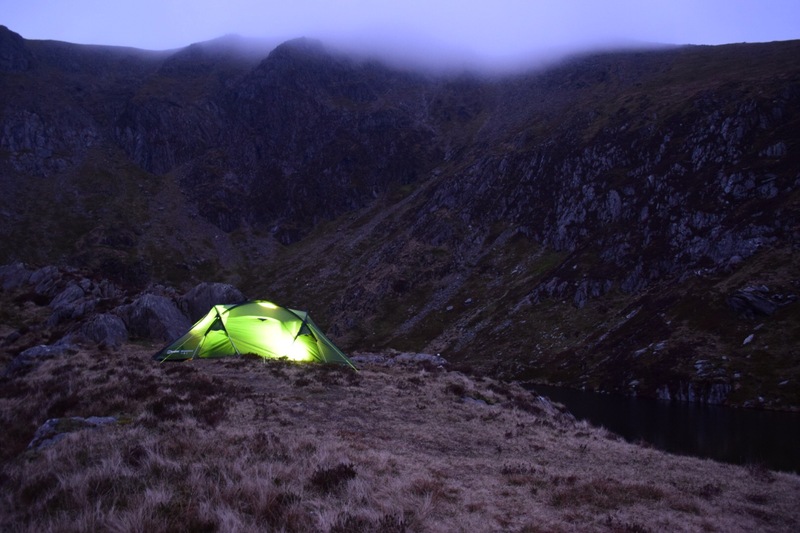 It withstood the buffering from the wind and inside my Rab sleeping bag, I was plenty warm enough. There was minimal condensation on the inside of the tent in the morning. The two entrances / exits were great for storage and as described, that early morning cuppa. Highly recommended tent for the money. hi David thank you for the description! where was the locations you camped from the pictures above they look amazing! would really love it if you could tell me as im planning a trip to snowdonia in the new year. No problem. That camp was located at Llyn Clyd which is a small mountain lake about 2/3rds of the way up Y Garn. It offers great views down to Ofwen Valley to Tryfan and Pen Y Ole Wen. One of my favourite spots.